Their first acquisition: Facebook has bought Parakey, the yet-to-launch “web operating system” created by Firefox co-founders Blake Ross and Joe Hewitt. The price isn’t being disclosed, but Facebook should be issuing a press release this afternoon. Parakey was founded in 2005 and raised a seed round of financing from Sequoia Capital (although this was never confirmed). There is a good background story on Parakey, which will include both browser and client software, here. As he describes it, from a user’s point of view, Parakey is “a Web operating system that can do everything an OS can do.” Translation: it makes it really easy to store your stuff and share it with the world. Most or all of Parakey will be open source, under a license similar to Firefox’s…Parakey is intended to be a platform for tools that can manipulate just about anything on your hard drive—e-mail, photos, videos, recipes, calendars. In fact, it looks like a fairly ordinary Web site, which you can edit. You can go online, click through your files and view the contents, even tweak them. You can also check off the stuff you want the rest of the world to be able to see. Others can do so by visiting your Parakey site, just as they would surf anywhere else on the Web. 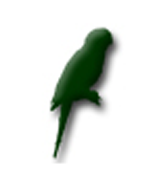 Best of all, the part of Parakey that’s online communicates with the part of Parakey running on your home computer, synchronizing the contents of your Parakey pages with their latest versions on your computer. That means you can do the work of updating your site off-line, too. Update: Was Google a bidder for Parakey? One source says they were, but couldn’t compete with Facebooks pre-IPO stock. Facebook isn’t saying if this was a stock or cash deal, but it wouldn’t be dumb to assume that Facebook stock was at least part of the acquisition price. In an IPO the value of that stock would probably increase dramatically, giving the Parakey stockholders a nice additional return on investment.